Lavender & Sandalwood, Honeysuckle & Jasmine, and Apple Blossom & Freesia – no these are not smells of a luxury perfume, these are the new and delightful scents of Ecover’s new detergent collection. One of my closest friends and I often discuss our latest detergent discoveries, please tell us we’re not the only ones that go down the supermarket aisle sniffing the different products on offer…. are we?! We’re both obsessed with finding just the right scent. I’d like to say this is something that comes with being in your 30s, but actually we’ve been like this for years. My name is Charlotte Jacklin and I am addicted to good smelling washing. Recently Ecover invited me to a special event, to discuss both laundry and style. It was here I met with their expert nose, Cassie (a nose is someone who blends ingredients in products to produce the overall scent). Cassie was a) hilarious and b) a genius. She put my pal Fritha and me to the test and together we discovered just how many ingredients are blended together to create the best smelling laundry products I’ve smelt in years. Even better than their scents, which are inspired by nature, is the way that Ecover produce their products. A good smell doesn’t mean comprising on packaging, chemicals or clean washing either. All Ecover’s products are concentrated, which means more washes per bottle – reducing on packaging, which you well know is something I have been trying to cut down on recently. All their detergents have been dermatologically tested for sensitive skin, meaning I am more than happy to wash all of June’s clothes with it. You won’t catch anything else underneath my sink from now on, I’ve just called my friend to let her know our search is over! As well as speaking to Cassie, which honestly I could’ve done all night, I sat down and spoke to celebrity stylist Alex Longmore. As soon as I spotted Alex’s red velvet earrings, I knew we were going to hit it off. Alex and I seemed to be on the same page when discussing style. Dressing for pregnancy was one thing, but dressing post-baby is much harder and something not a lot of people talk about. 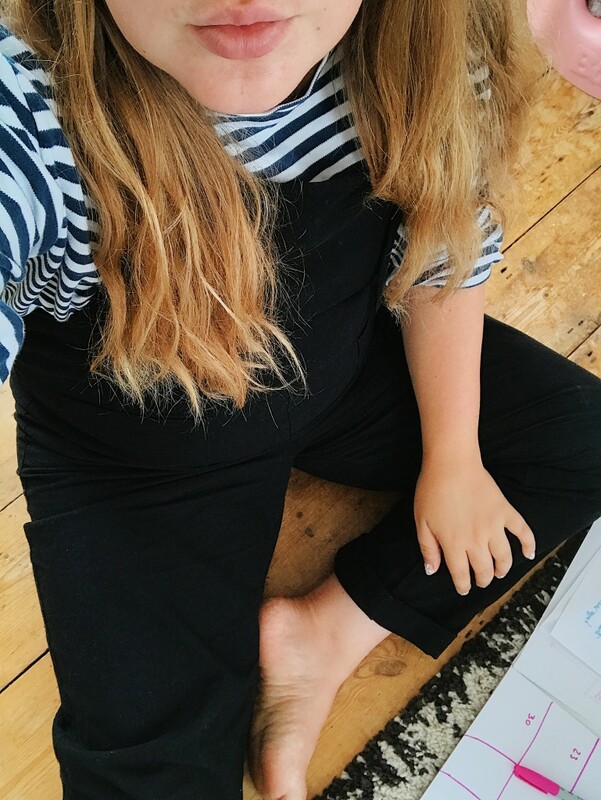 One of the things Alex recommends is streamlining, and having a capsule wardrobe – I couldn’t agree more. Anyone that knows me, knows the words ‘capsule’ and ‘wardrobe’ were never something that I thought went together before I had June. Whilst I’m still developing my capsule wardrobe, Alex suggested the key to it is thinking of it as a fun uniform. Not having to make a million style choices in the morning is making it easier to adapt to my new role as mum, I just don’t have time or energy after broken sleep to figure out what goes with what. Another thing that has changed for me is the fabrics I wear. 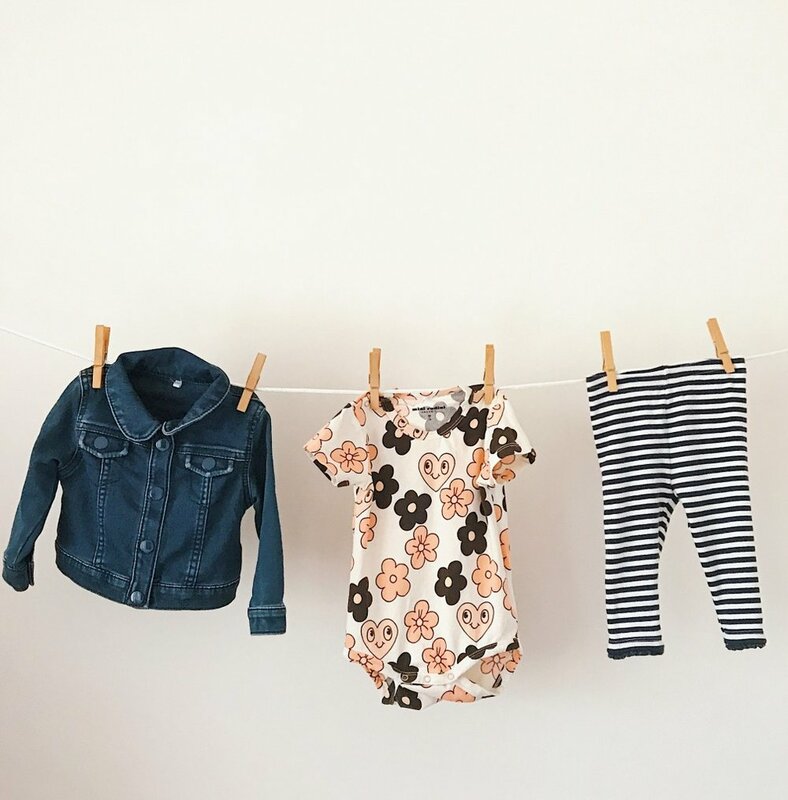 After giving birth, my body has changed but also the fabrics in my wardrobe need to be much more hard wearing and stand being washed more frequently. The new (very cute) small person in my life doesn’t quite appreciate keeping all her bodily fluids to herself. Luckily Ecover’s plant based formulas have been developed with green science, meaning you can get clean results even on a 30 degree wash, resulting in my capsule wardrobe not looking as tired and worn as I sometimes feel. There'll be some more styling from Alex on Ecover’s Facebook page soon, for more information about Ecover and to shop the new range, visit their website. This post was created in partnership with Ecover but love of good smelling washing and a new-found passion for a capsule wardrobe are all my own.